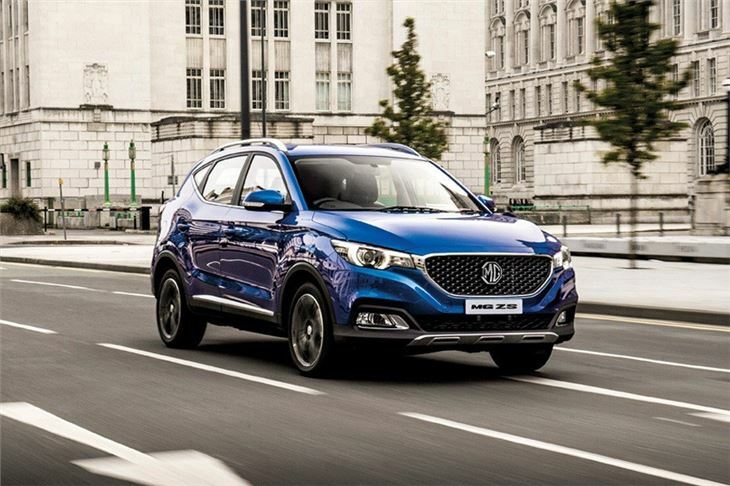 Not to be confused with the Rover 45-based saloon from the mid-2000s, the all-new MG ZS is an affordable and family-friendly SUV that rivals the Hyundai Kona, Kia Stonic, SEAT Arona and Nissan Juke. 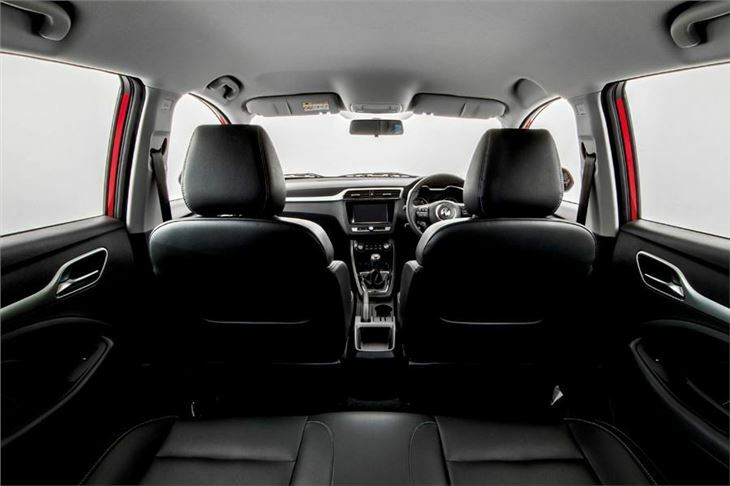 Priced from £12,495, it's one of the cheapest compact SUVs you can buy, but does it live up to its bargain basement price tag? In terms of space and value, the MG ZS is quite an appealing SUV. 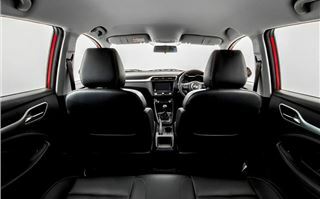 In the back row, for example, there’s more than enough room for two large adults to sit back and relax, thanks to generous levels of head and leg room. The boot, too, is a decent size with 448 litres of capacity and a two-level floor fitted as standard. Admittedly, it’s narrow between the wheel arches, but it's still large enough for the weekly shop and a pair of large suitcases. Unfortunately, up front the ZS isn’t quite so impressive. There’s enough room, but the layout is uninspired and material quality is patchy. There are soft touch materials here and there that manage to lift the ambience – so it’s by no means bad - but little details like the scratchy, slippery plastic in the phone storage area are particularly disappointing and could be easily have been improved without massive cost or effort. You kind of expect a few issues like that in a budget car, though. Less forgivable is the drive. 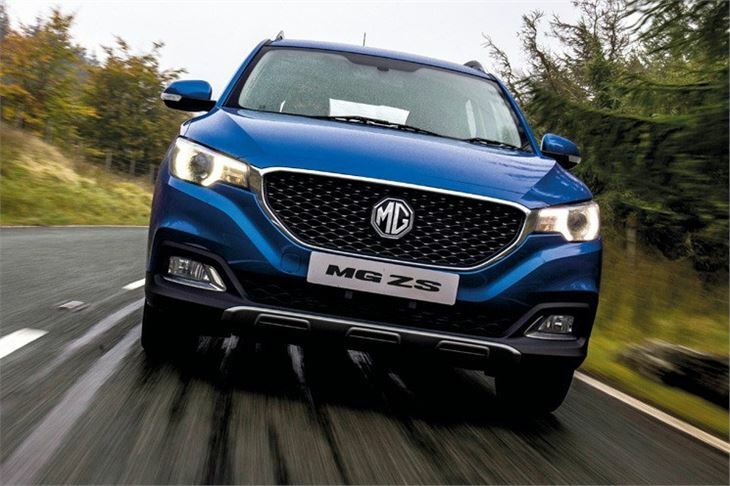 MG says its engineers spent months tuning the ZS on UK roads, but the results are less than stellar. Ride quality is unsettled and uneven over broken surfaces and there’s a lot of tyre roar. Potholes thump loudly into the cabin too. It doesn't ever feel harsh - but nor does it ever settle down properly. That would be fine if the handling was impressive, but it isn’t. The steering is woolly and imprecise and there’s quite noticeable roll when changing direction suddenly -though it's not a major problem in sedate, everyday driving. Despite that fact there is a surprising amount of front-end traction, so it’s not a car that will pitch you into a ditch - but the experience of driving the ZS isn’t exactly enjoyable. There are two engine to pick from – a 1.0-litre turbocharged petrol with 111PS linked to a six-speed automatic transmission, or a 1.5-litre petrol with 106PS linked to a five-speed manual. There is no diesel and all models are front-wheel drive. Given the choice, we’d pick the 1.5 manual over the 1.0 auto because it’s quieter and sprightlier, despite its deficit in torque – 141Nm versus 160Nm. If you need an auto transmission the 1.0-litre with its six-speed auto is fine around town, but it’s coarse under acceleration and has poor in-gear performance for overtaking or joining faster roads. It also has high CO2 of 144g/km and delivers unexceptional official fuel economy of 44.9mpg, so it’s likely to cost more to run than the easy-to-drive manual. 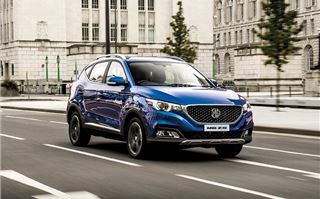 Again this is a budget offering, so you can forgive a few shortcomings on the road if you get a lot of gadgets for your money and the MG ZS does deliver on that front; pick a mid-level Excite model and you’ll get alloy wheels, air conditioning, along with an eight-inch touchscreen with Bluetooth and Apple CarPlay support, though you have to go for the top trim to get navigation and a reversing camera. The touchscreen system is the highlight of the cabin; the graphics are clear and easy to understand, while the touchscreen responds immediately to your fingers. It’s intuitive too, with a physical home button like a tablet PC or iPad to get back to the main screen. Even if you’re not tech-savvy you’re unlikely to have any trouble. 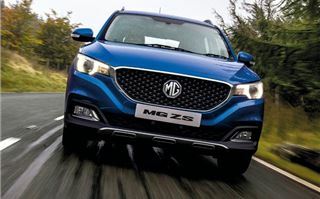 MG has also started offering a new seven-year, 80,000-mile warranty with ZS, which should provide some peace of mind for buyers concerned about the reliability of a relatively small brand. 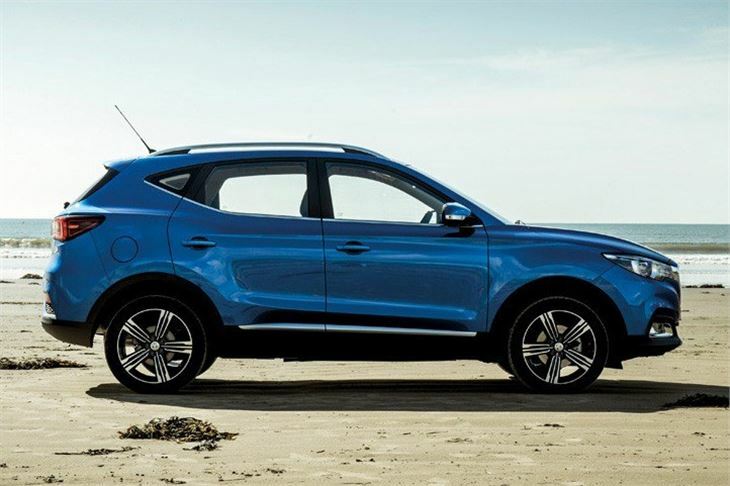 Its mileage limit is tighter than the unlimited mileage offered with SsangYong’s five-year warranty, but that won’t be a problem for many private, low-mileage buyers. Speaking of SsangYong – it’s the Tivoli that provides the stiffest competition for the MG ZS, with similar dimensions and pricing. Its list prices are a little higher, but the Tivoli provides more equipment, like-for-like, than the ZS. 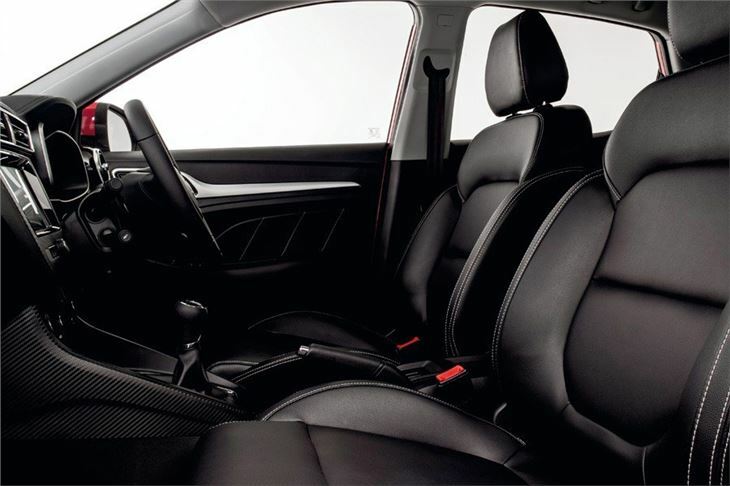 Leather, for example, is available in the mid-spec, £15,300 EX model, while alloy wheels are standard even in the basic £13,300 car. Not only that, but the Tivoli is more comfortable on the road and is available with the option of a diesel and all-wheel drive. So, if you’re looking for the best possible value for money – it’s the Tivoli you want. 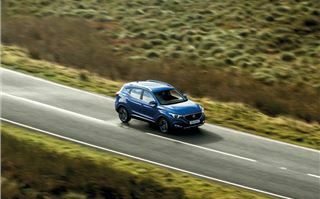 In fact, we can’t think of any area in which the MG ZS betters its Korean rival, which makes it a very difficult car to recommend. 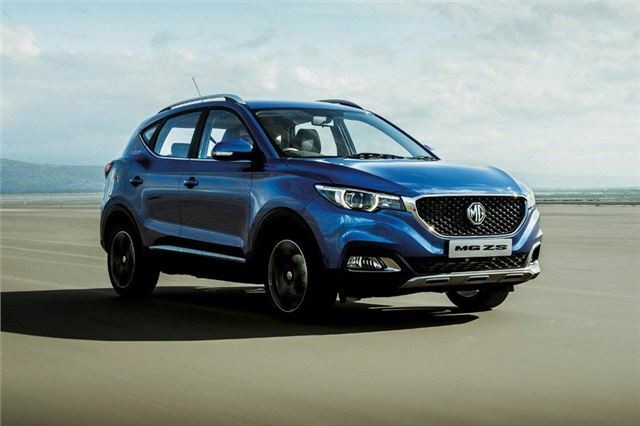 The MG ZS is available to order now.